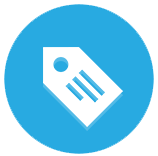 Browse items for sale nearby, or search for specific items. Then interact with the seller until you're ready to buy. Once logged in, it's super easy to post an item for sale, or 20 or 100 items. Sell away! CloseBuy is partnered with on-demand delivery companies in many major cities across the US. Have items picked up and delivered safely and securely.